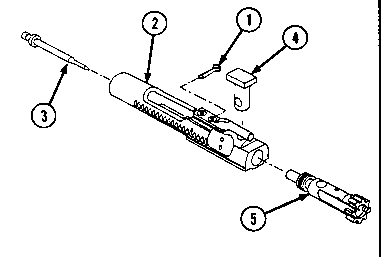 Do not torque over 80 ft-lb while tightening the barrel nut to next hole, to allow for proper alignment. (a) Align barrel nut assembly (8) with hole in the upper receiver assembly (7) using 1/8 inch drive pin punch. 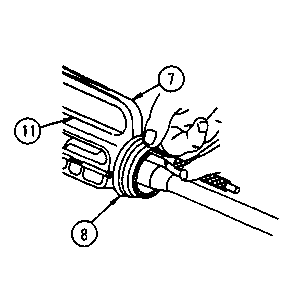 If necessary, tighten nut to next hole to allow proper alignment. 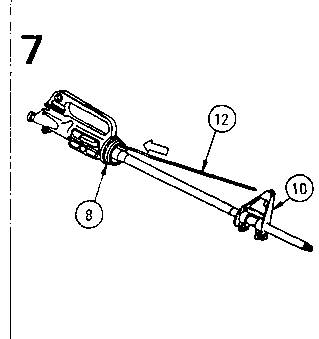 (b) Remove drive pin punch from upper receiver and barrel assembly (11). Remove upper receiver and barrel assembly (1 1) from barrel remover fixture and vise. Slide gas tube (12) through the barrel nut assembly (8) and then slide forward inserting gas tube into hole in the front sight assembly base (10).